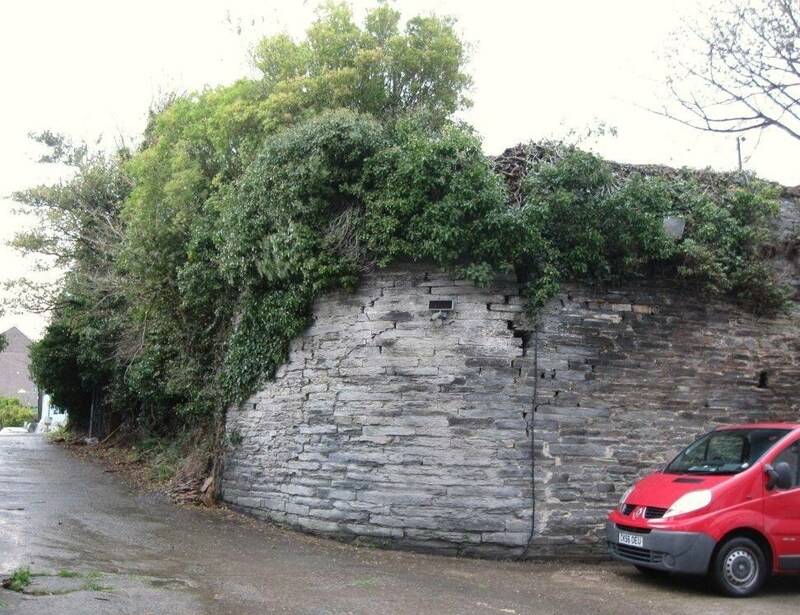 The norman town of Cardigan was provided with protective stone walls from 1244 onwards and although fragmentary they can still be traced in places. 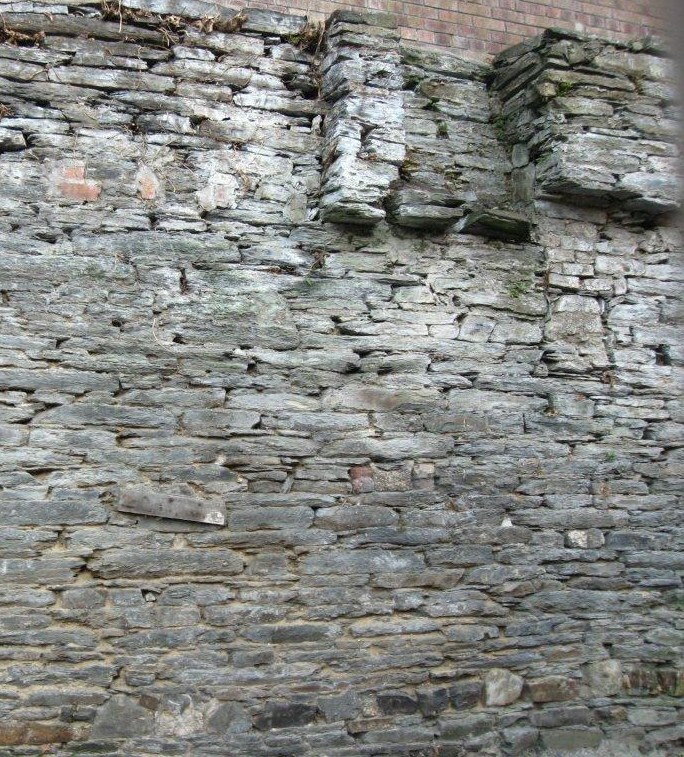 The walls appear to have been revetted along the sides of the ridge on which the town was built, as was done for the town of Pembroke. 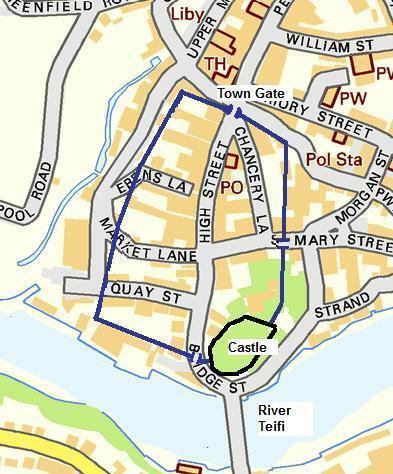 The approximate positions of the town walls are shown in blue on the map above. 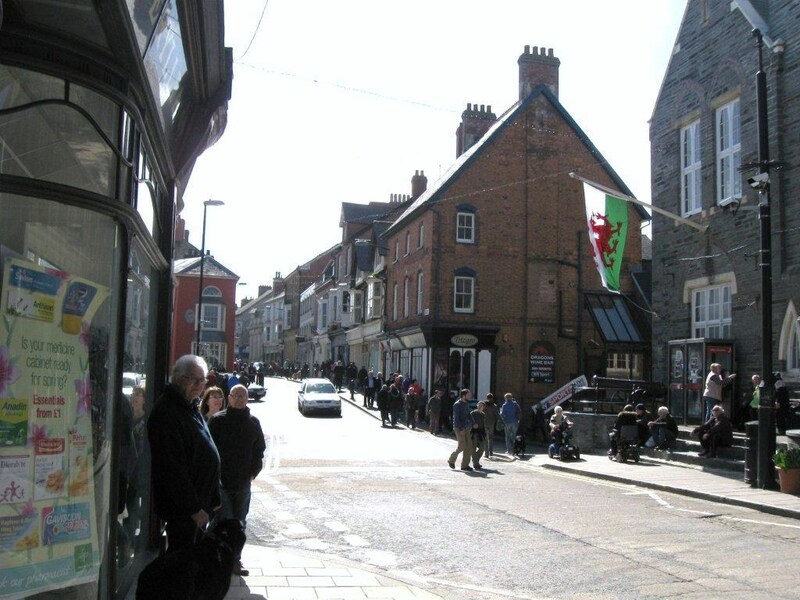 The best preserved section of town wall is at the south west of the town. As it runs gently up hill the wall passes through a rock cut ditch. 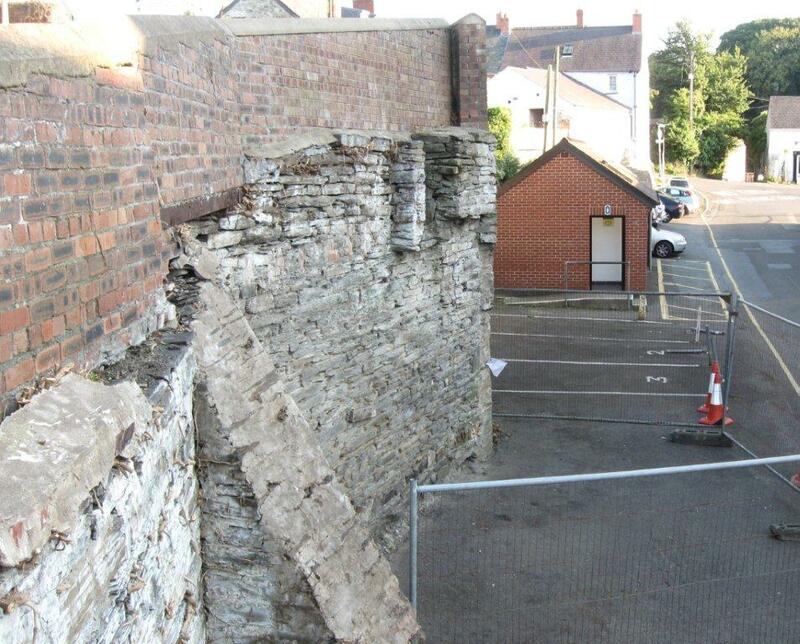 Remains of the western revetment wall looking towards the south west corner of the town. The wall appears to have been provided with latrine chutes which discharged outside the town. 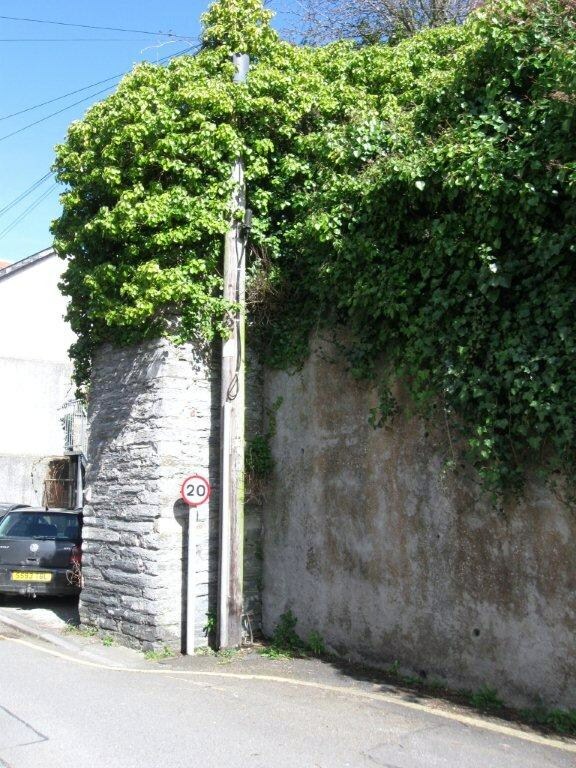 The western town wall has what may be the remains of a rectangular tower built down its face, in a similar fashion to Pembroke town walls. The town gate has disappeared completely from its location astride the main street leading north. The dip in the road marks the site of its protective ditch. 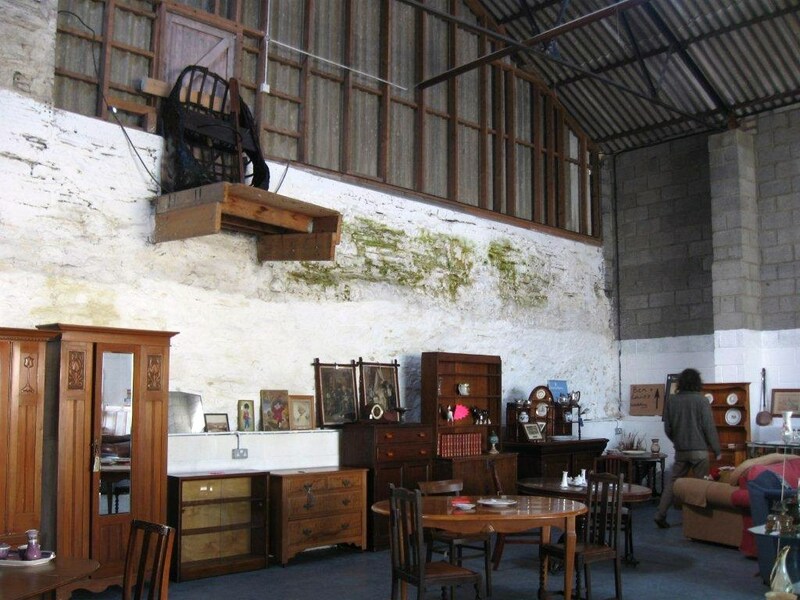 The truncated east side of the town walls can be seen in a house clearance store. Continue with rare pre-restoration photographs taken in 1991 within the castle!